Our patterned glitter washi tape is the most gorgeous addition to any decorative project, particularly a card for Mum! 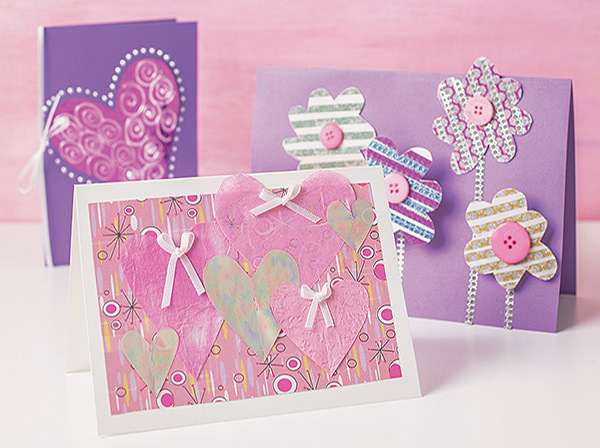 Here, we've shown you how to use it to create patterns rather than for the purpose of tape. Press down washi tape in patterns, using alternating colours. Press firmly. 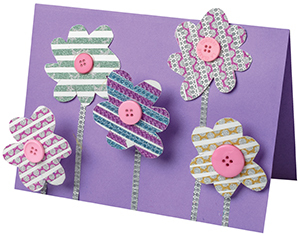 Use washi tape vertically to create the look of flower stems. Glue some flowers straight onto the card and mount others on small pieces of polystyrene sheets cut up, to raise them off the surface. Glue on buttons with Supertac. Draw patterns between the washi tape or add torn or cut paper. Alternate shapes of flowers, could even make some 3D.